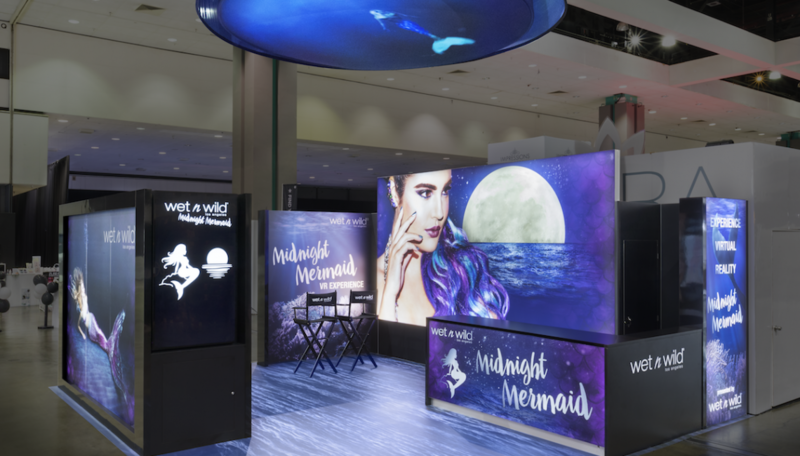 To achieve show success at BeautyCon, Wet N Wild needed a show stopping trade show exhibit design that would wow and captivate guests with consistent branding and eye-catching visuals. 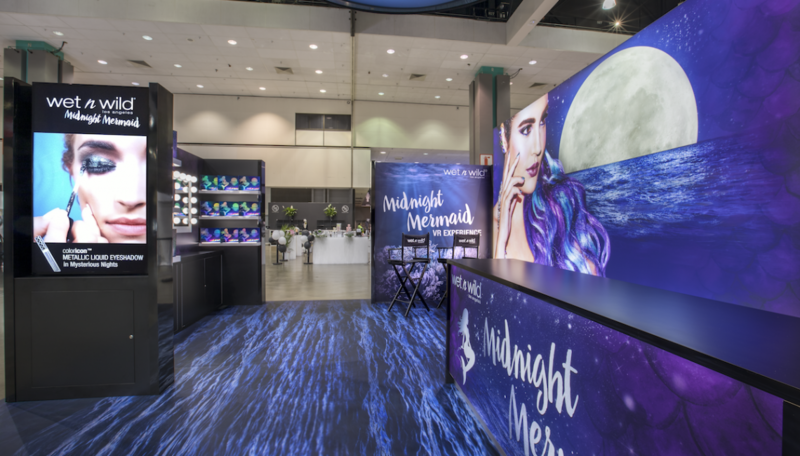 The driving force behind the design would be the brand’s new cosmetic line, “Midnight Mermaid,” which featured the deep blue hues of the ocean. Nimlok’s final design did not disappoint. Richly textured graphics with a cool-toned color palette adorned the 20x20 space. 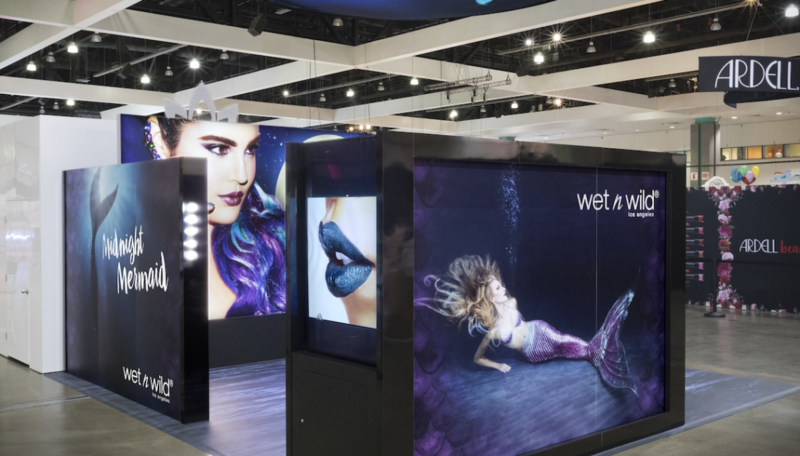 A hanging sign with oceanic design was suspended overhead to add flair and complement the theme below, which was completely immersive from top to bottom—all the way down to the flooring.